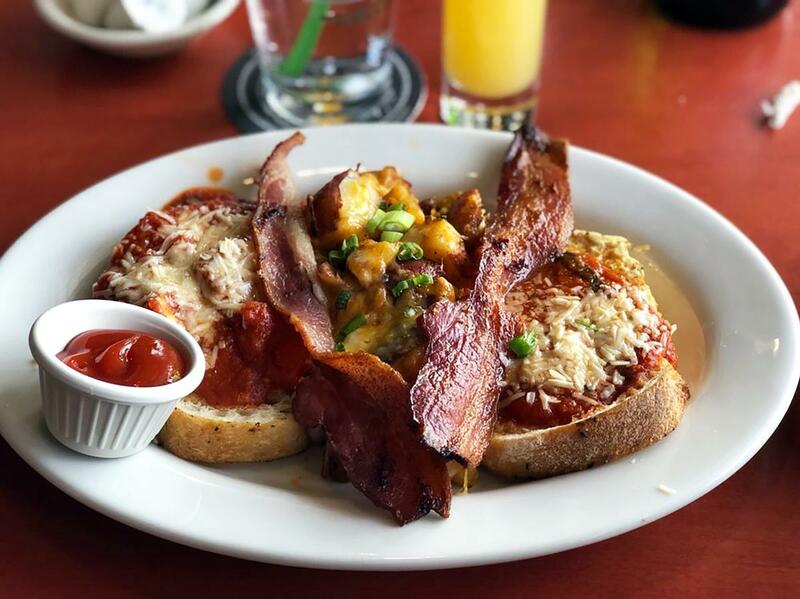 Whether you’re trying to forget last night or you&apos;re trying to gear up for the day ahead, brunch is the perfect opportunity to get acquainted with the Salt Lake dining scene. And if you’re so inclined, it’s the perfect opportunity to see first hand that, yes, you can get a drink in Utah. Thankfully, if you’re in Salt Lake, you’re in luck. We love brunch. No, seriously, we REALLY love brunch. Romeo and Juliet, Bogart and Bacall, Wall-E and EVE—the greatest love stories of the ages have nothing on Salt Lake’s burning desire for this weekend event. 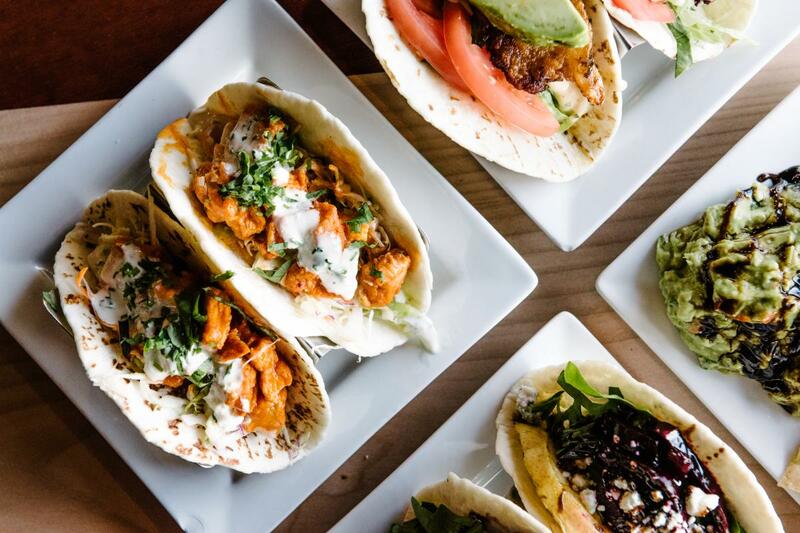 Across the Wasatch Front you’ll find everything from five-star fine dining to buffet free-for-alls getting in on the brunch bash—and yes, there’s alcohol, too—just remember that liquor sales in restaurants begin at 11:00am in Salt Lake. 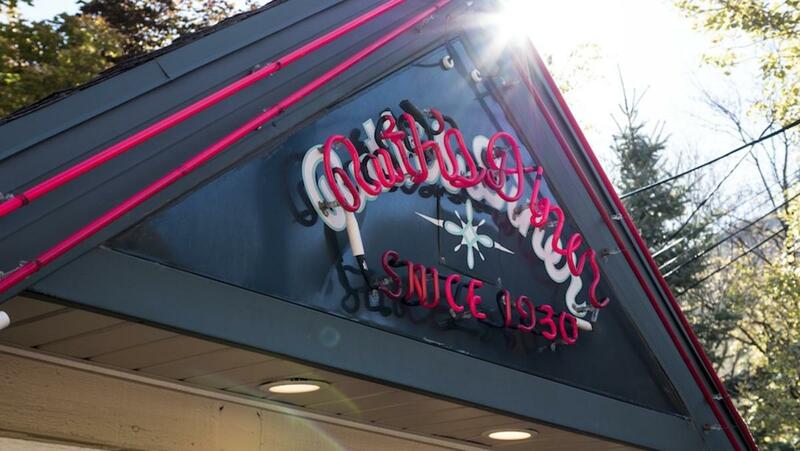 The lines winding out the door of this Salt Lake icon every weekend should tell you all you need to know about Utah’s second-oldest restaurant. 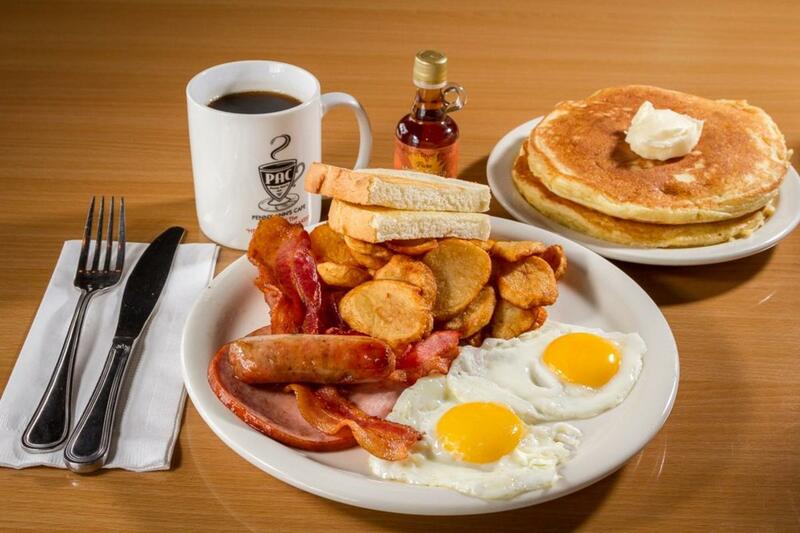 Ruth’s Diner is an institution and even featured on TV’s "Diners, Drive-ins, and Dives." Sure, it’s expanded since its inception in 1930, and its cigarette-wielding namesake has long since passed, but every meal at Ruth’s still begins with the classic Mile High Biscuits: fluffy, buttery treats which are almost a meal in themselves. 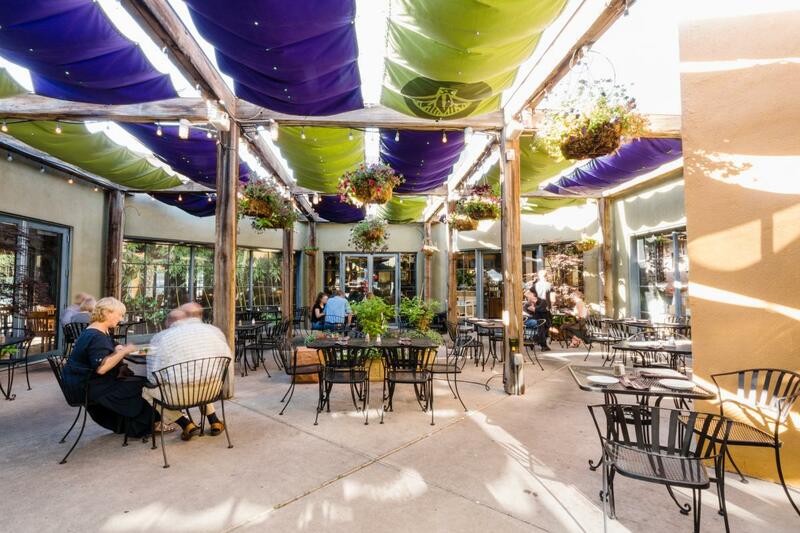 In addition to an extensive menu of breakfast and lunch favorites, this Emigration Canyon getaway offers a scenic drive, a pretty patio, and bags and bags of charm. Just start slowly on those biscuits—you’ve been warned. As its name suggests, Oasis is an island of calm, hidden on the edges of downtown Salt Lake. Oasis is a go-to for savvy in-the-know locals, buzzing every weekend. Don’t worry, though, there’s ample room both inside and out; the restaurant features two relaxing patios that are usually brimming with energy when the weather’s behaving. Oasis Cafe offers brunch every day of the week, not just weekends, serving up a roster of classic dishes and a diverse sampling of beverages, from brunchy libations like Bloodys and mimosas to a range of eclectic teas and coffee. Afterwards, stop by the Zen-like Golden Braid Bookstore, Oasis’ attached sister business, and work on your inner peace. Tradition has all the classic, made-from-scratch, Southern comfort foods and cocktails you could wish for, in a modern and welcoming space right next to Liberty Park. Their menu will satisfy whether you&apos;re recovering from the night before or fueling up after hitting the slopes. 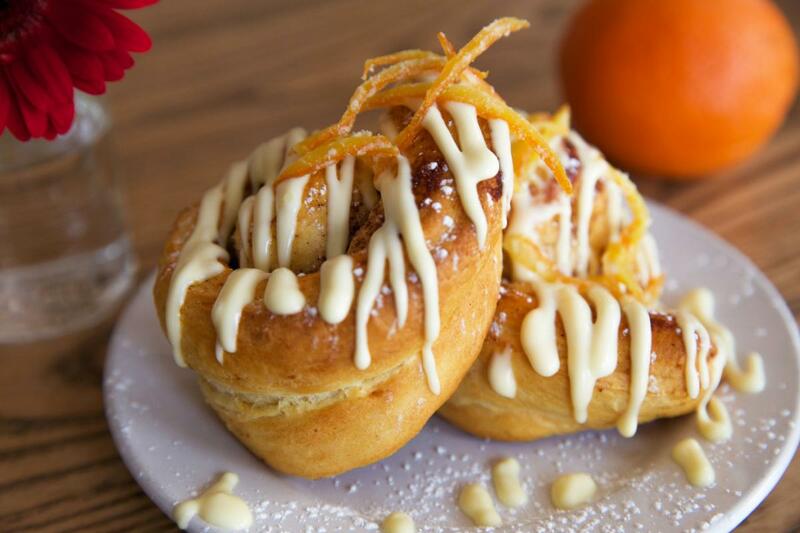 Their menu is chock-full of delicious items that change with the seasons—we highly recommend their decadent orange rolls, incredible seasonal hash (which is also vegetarian) or their maple oatmeal breaded chicken and pancakes. If you&apos;re over 21, cozy up to the bar and order your breakfast with a signature cocktail or mimosa from some of our favorite bartenders in town. Worried about a wait or have a large party? Book a table online to get right into dining and drinking. Treat yourself! Drop your car off with the Hotel Monaco’s valet, glide elegantly through doors held open by attendants, and walk through to the plush dining space that is Bambara. There you’ll be met by one of Salt Lake’s most on-point service teams, from host to server to busboy. You’ll also get to enjoy Nathan Power’s stellar cuisine, which changes with the seasons, prominently highlighting local produce—Smoked Utah Trout Hash, anyone? Better still, just stay the night at the Monaco, and the trip to Bambara’s luxurious environment and service is just an elevator ride away. It’s worth every penny. Arguably the hottest restaurant in town for several years, brunch sizzles at the Copper Onion. One item not to ignore are the Sautéed Mushrooms—a signature dish offered ever since chef and owner Ryan Lowder returned to the local dining scene from NYC. Meaty sautéed mushrooms are topped with beautifully cooked local Clifford Farm eggs, all atop a pile of crunchy potato sticks. The finish of parsley and garlic makes for a sublime plate of food any hour of the day. Mind you, the menu is sublime from start to finish. Tacos for dinner, tacos for lunch, tacos for breakfast—and why not? Todd Gardiner’s Taqueria 27 now operates two locations; such has been the warm embrace locals have given his upscale take on Mexican cuisine. Think hip and trendy dining spaces coupled with refined plating and quality ingredients. And it’s not just tacos either. T27’s giddy take on Mexican dining has plenty of breakfast fixin&apos;s from Chilaquiles (corn chips simmered in ranchero sauce, layered with asadero and cotija cheese, and topped with two eggs, salsa, and sour cream) to Spicy Fried Chicken and Donuts” (crunchy chicken breast atop fresh "donuts" with agave-infused pure maple syrup and crispy camotes). Bacon and eggs will never be the same again. This cool and classy downtown bar on Salt Lake’s Main Street has a brunch menu popping with fun and creativity. Take a look at each menu item closely and you’ll see what we mean. See that country fried steak and eggs? It comes with chorizo-powered gravy. Check out the Eggs Benedict or Hash—you didn’t read that wrong, both are available with luscious short rib should you want. And then there are the cocktails: nine different Bloodys, eight different boozy coffees, and seven other specialty cocktails—you have no excuse not to start your weekend the right way. Almost every brewpub in town offers a rendition of brunch. Red Rock, however, ups the ante with two-dollar mimosas. Yes, two US dollars. Let’s all just pause for a moment and breath. OK, still here? Great. In addition to this killer deal on mimosas, Red Rock is always dependably solid for food, too. Brunch offers a range of familiar dishes, plus the restaurant’s standard lunch menu that’s both broad and diverse, meaning even the picky eater in your group will find something they love here. Penny Ann’s is a slice of Americana, so old school you won’t find a single mention of brunch on their menu. What you will find is one of the city’s most solidly reliable breakfast joints that should be high on the list for anyone looking for first-rate comfort food and a great deal. Those in search of a carb-fix should look no further than the Heavenly Hotcakes: sour cream pancakes loaded with butter and syrup, or better yet The BIG Breakfast, which offers a full breakfast of eggs, bacon, ham, sausage, breakfast potatoes, AND those dreamy hotcakes, all for under ten bucks.